Sushant Singh Rajput and Sara Ali Khan’s much-awaited film Kedarnath opened to moderate response at the box office despite being the solo Bollywood release of the week. The film registered an opening of around Rs 7 crore, as reported by Boxofficeindia.com. The box office predictions on Hindustantimes.com had hinted at the film collecting atleast Rs 5 crore on its opening day. 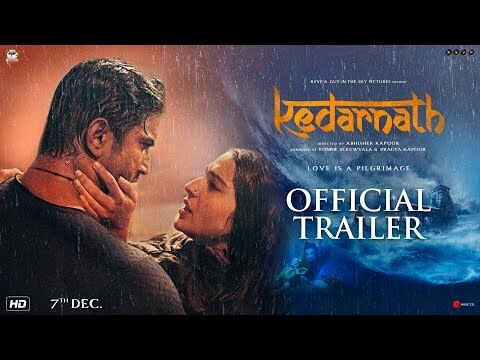 Directed by Abhishek Kapoor of Kai Po Che fame, Kedarnath is a love story of a Hindu tourist played by Sara and a Muslim porter (pithoo) played by Sushant, who takes her on the 14 kilometre-long pilgrimage from Gauri Kund to the shrine of Lord Shiva. The film is set in the backdrop of the devastating Uttarakhand floods that left several thousand dead in 2013.